Manchester United's 1-0 win helped them move above Arsenal into fifth while Manchester City beat Arsenal to leapfrog Tottenham into 2nd. Ole Gunnar Solskjaer remains unbeaten 10 games into his caretaker reign of Manchester United as the rejuvenated Marcus Rashford and Paul Pogba combined to earn a 1-0 win against Leicester City on Sunday to close in on the Premier League top four. Rashford blasted home his sixth goal since Solskjaer took charge after taking an exquisite touch to control Pogba's lofted pass and United held out to move above Arsenal into fifth and within two points of fourth-placed Chelsea. In the biggest match of the weekend, Manchester City blew away Arsenal courtesy a Sergio Aguero hat-trick. 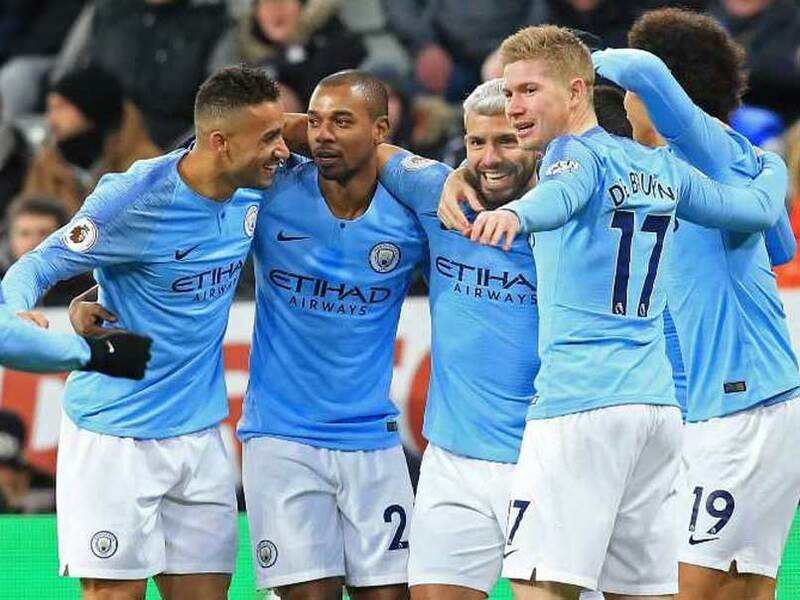 Manchester City's 3-1 win over Arsenal helped them move back into second place and close the gap to league leaders Liverpool, who play on Monday night. Pep Guardiola's men were knocked out of their stride for most of the remainder of the first half, but retook the lead in style just a minute before the break when Ilkay Gundogan's delightful lofted pass teed up Raheem Sterling to cross for Aguero to tap home. The same two players combined for the Argentine to secure his 10th Premier League hat-trick in controversial fashion as the ball came back off Aguero's arm before rolling over the line just after the hour mark. A sixth consecutive away league game without a win sees Arsenal slip down to sixth behind Manchester United. In the day's earlier match, Solskjaer again chose to leave Romelu Lukaku on the substitutes' bench, with Rashford preferred as his central forward. The England striker took just nine minutes to respond with the crucial goal, having already missed a good chance when he headed over when unmarked from a handy cross by Nemanja Matic. Rashford's confidence was clearly unaffected, as he took just four minutes to respond in style. Ricardo Pereira was the guilty party for Leicester with a dangerous ball that was intercepted by Pogba. 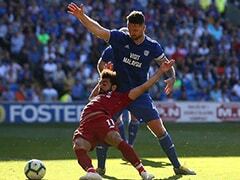 The Frenchman proceeded to display his deftness of his touch with a beautiful pass that was lofted over the Leicester backline for Rashford to run onto and he did the rest, taking a touch before drilling a low shot past a helpless Kasper Schmeichel. Twice the Spaniard stood tall to deny Jamie Vardy, but De Gea's best save came from Rachid Ghezzal's free-kick that arrowed towards the top corner. A Ghezzal goal would have been rich vindication for Leicester boss Claude Puel who was met with chants of "you don't know what you're doing" from his own fans for replacing James Maddison with the Algerian just after the hour mark. Jonny Evans and Harry Maguire also failed to hit the target as the Foxes laid seige towards the United goal in search of an equaliser that never came to pile more pressure on the under-fire Puel. His stock at Leicester remains on the slide but Solskjaer's at Old Trafford continues to soar.